With every season comes one trend that's so ubiquitous that you're borderline tired of it before the weather is even appropriate to wear it. This fall, it's unquestionably velvet, and we're just as obsessed as the rest of the world. But in case you don't want to wear velvet all day, every day, there's another fabric that the fashion crowd is into this season, and it's just as cozy and classic but a lot more chill than velvet—corduroy! The classic collegiate '70s fabric can easily be dressed up with a fur jacket and metallic ankle boots or down with loafers and a graphic tee. If you're really feeling adventurous, you can even pair corduroy with velvet. We suggest a corduroy jacket or pants with a pair of velvet shoes for a fall 2016 fabric trend mash-up made in heaven. 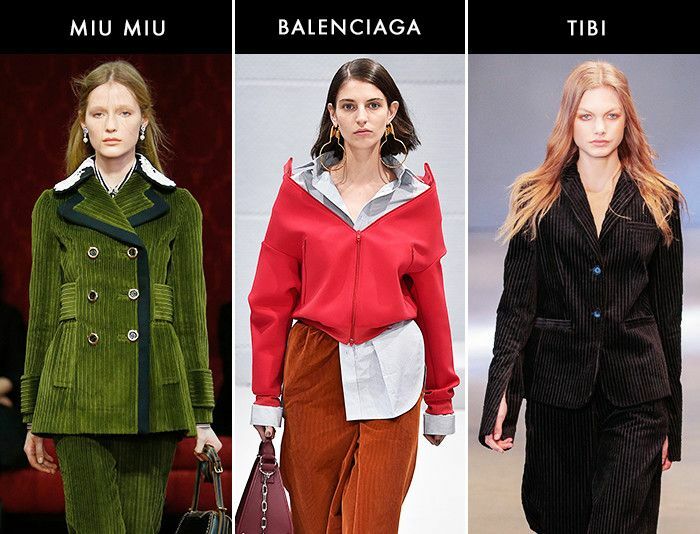 Some of our favorite designers and brands are clearly on board with the trend as well, as we found that there's no lack of corduroy on the market, from Balenciaga midi skirts to Levi's jackets. Ready to jump back on the corduroy train? Keep scrolling to see which brands sent it down their F/W 16 runways, how it was styled on the streets of the recent fashion month, and shop our picks! Never underestimate the flattering powers of cobalt blue. We're calling these "pink power pants." Too cold for a denim jacket? Wear this. Behold the skirt that arguably revived the trend. Swap your denim skinnies for this cozy pair. Wear these with tights on chilly days. Layer this over a slim turtleneck and add a pair of over-the-knee boots. Now you know just how chic corduroy can be. We (and Olivia Palermo) are obsessed with this color for fall. You don't have to give up your crop tops just because it's fall. Seeking a perfect fall outfit? Wear these with a camel sweater and loafers. Just say yes to dad hats. 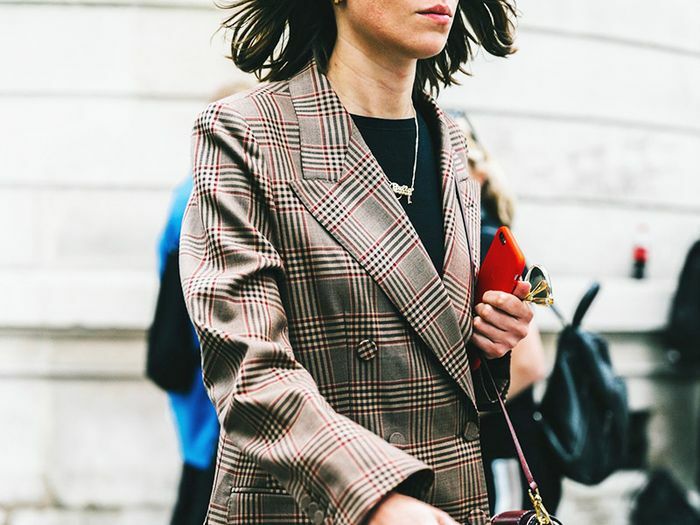 We can't stop staring at this gorgeous blazer. This pretty pink skirt is selling out everywhere. Which do you prefer—velvet or corduroy? Tell us in the comments below!